Recent job postings from Apple indicate that the tech giant is still looking to expand its team to address quality issues that sprung up when it switched from Google's mapping system to its own in-house Maps app. Monday and Tuesday saw no fewer than seven map-related job listings posted to Apple's corporate site. The listings call for software engineers to be tasked with improving Apple's much-maligned mapping solution. One listing in particular calls for a computer-vision expert, who will take on improving Flyover, Apple's 3D terrain visualization feature. This is the second sizable Maps-related job posting in as many weeks, indicating that Apple is significantly stepping up its effort to bring its mapping solution up to par with that of market leader Google, whose Maps app Apple abandoned with the introduction of iOS 6. Most recently, Apple put out listings seeking ten software engineers to contribute to iOS Maps, with nine handling assorted programming duties and the tenth assigned to navigation. In addition to the Flyover posting, Apple's listings today include the call for a "senior software engineer to build highly-optimized vector content for our Maps application," as well as a Geocoder Data Analyst to "work to improve a corner stone of" Apple's mapping program. 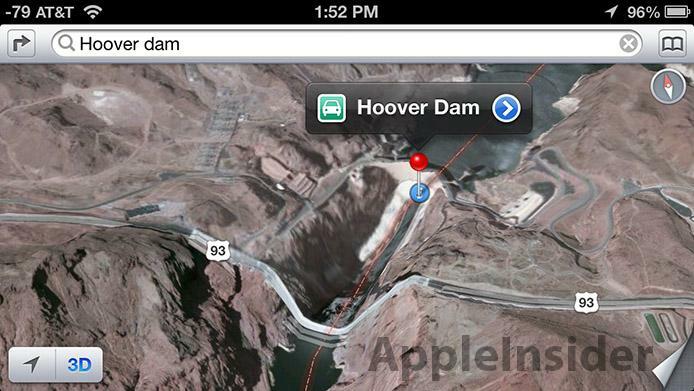 Apple's iOS Maps debuted in September of 2012 along with iOS 6. While largely praised for bringing features such as turn-by-turn navigation to Apple's platform at last, the app drew criticism and complaints from a range of users, who found inaccuracies in the location data and faulty rendering of the 3D flyover data. Apple jumped on the problem almost immediately, issuing an apology to its customers, as well as firing responsible parties. The company then began assembling a team to tackle the issue, and has been occasionally adding staff to that team since.